Motion Impossible & CVP will be hosting an Agito Demo Day. Starting with a presentation at the CVP & ARRI Creative Space, we will demonstrate the Agito’s set up and operation as well as its compatibility with the new ARRI SRH-3. We will then move to a hands-on event at RADA’s Studio Theatre, highlighting some of the Agito’s creative possibilities. The demonstration will run from 10am until 5pm on Thursday 7th February in London. 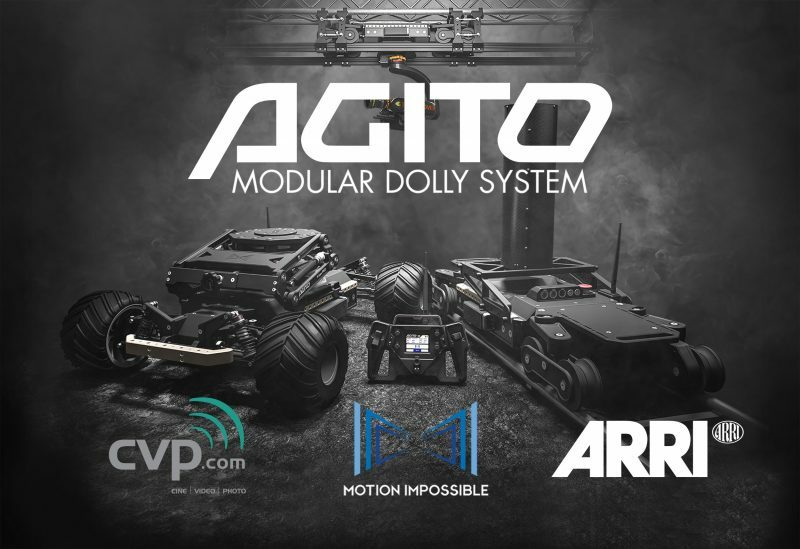 The Agito Modular Dolly System will be showcased in two distinct modes; Sports and Trax with interchangeable drive-ends. The two variations will be presented alongside our latest accessories including the Agito Tower and V-Con Pro. These components are all designed to create a bespoke system unique to your filming needs. Our Product Specialists will be on hand to advise on your requirements and would be happy to answer any questions. If you would like to join us, head over to the CVP website to register your interest as spaces are strictly limited.